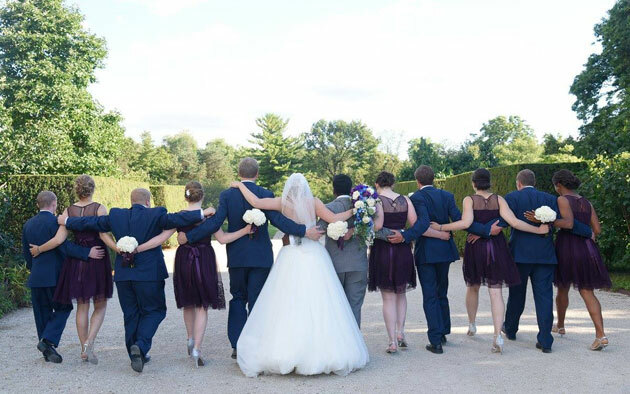 On Saturday, August 6, 190 of Sarah and Prince’s closest friends and family stepped into the beautiful Boerner Botanical Gardens for an Indian fusion wedding. 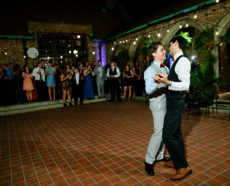 The wedding was filled with brilliant flavors and pure joy as the two cultures and the couples’ unique personalities came through. 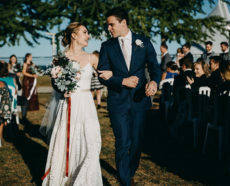 When surveying the many beautiful Milwaukee wedding venues, Sarah and Prince fell in love with Boerner Hall and all it has to offer. 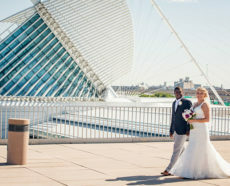 The bright colors, stunning views and service by the most adaptable Milwaukee catering company were exactly what they needed to bring their unique wedding vision to life. 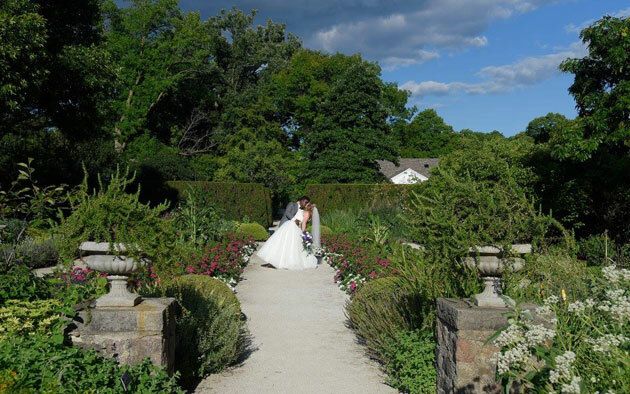 We invite you to take a walk through the wedding that melded two very different worlds and gave guests an incredible experience. Grapes with a twist: Sweet, crisp red grapes rolled in cream cheese with a hint of vanilla and coated with finely crushed toasted almonds. Buffalo chicken tart: A flaky phyllo shell tart filled with spicy chicken, blue cheese and scallions, garnished with a crisp celery slice and buffalo sauce. Aloo papri chaat: Cocktail-size crispy puris with potato, chick peas, yogurt, tamarind chutney and cilantro. Vegetable cutlets: Mixed vegetable patties breaded in gram flour batter and gently fried. Sabzi pakora: Crunchy frittes that include potato, zucchini, green chilies and bananas. Served hot with a variety of chutneys. 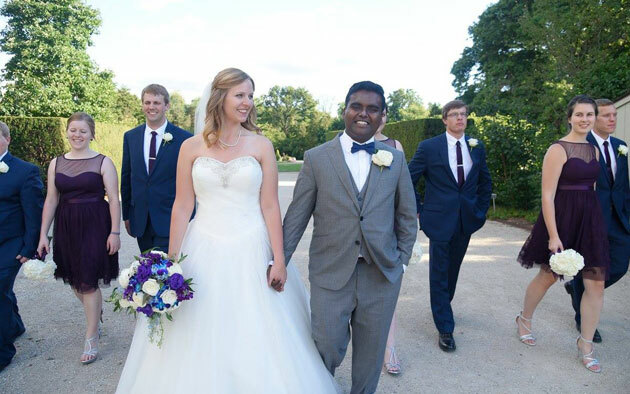 The two American and three Indian appetizers were one of the first demonstrations of how Sarah and Prince were able to blend their two cultures at their Milwaukee wedding. At 6pm, we closed the bar so guests would take a seat and get settled in for introductions, the cake cutting ceremony, a toast and prayer. As they found their tables, bright colors and ornate details set an upbeat and elegant atmosphere. In particular, two vases holding tall branches with lights strung between added a sophisticated touch. At 6:45pm, our professional staff directed guests to a buffet featuring a variety of traditional Indian entrées as well as a favorite American dish, both custom designed to the couples’ unique tastes. 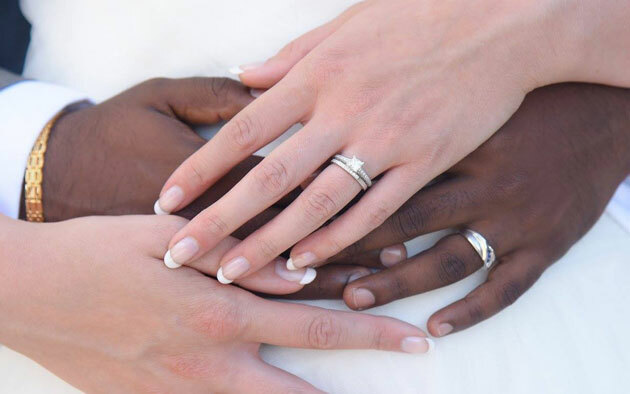 One of the tips from a multicultural wedding couple is to infuse your own style, so we were very happy that Sarah and Prince chose to work with one of the Milwaukee catering companies that was happy to customize wedding menus to the couple’s liking. Murgh tikka masala: Charred boneless chicken thigh simmered in Indian-spiced creamy tomato sauce, basmati rice pilaf with cashews, cumin, cucumber boondi raita and garlic naan. Murgh vindaloo: Traditional boneless chicken cubes in spicy gravy. At the couple’s request, we made this dish hotter, used less garam masala and added potatoes. Dhanshak pullao: Vegetables combined with lentils. To perfect this to Sarah and Prince’s liking, we replaced the kidney beans with chopped green beans. Chicken bruschetta: Parmesan-crusted chicken drizzled with balsamic vinaigrette and finished with a bruschetta topping. Boondi raita: Sarah and Prince chose this yogurt-based Indian side as their chef select salad and added red chilies to the recipe. Garden salad: Romaine and lettuce blend topped with sliced cucumbers, tomato wedges, mushrooms and seasoned croutons drizzled with the dressing of your choice. Seasonal cut fresh fruit: Watermelon, cantaloupe, honeydew and pineapple garnished with grapes and strawberries. After filling their plates with the highest quality food, many guests visited the bar to find the perfect drink pairing. Then they headed back to their tables, where our professional staff had placed warm naan in baskets. And, to their delight, they found both garlic and plain flavors. At 8pm, the dessert and coffee stations opened. Wedding cake, French roast coffees and upbeat music kept guests energized until the wedding ended at midnight. Many fun pictures were taken in the Photomatic photo booth—the perfect way to save memories of the wedding reception that beautifully merged two cultures. Going with the heartwarming evening atmosphere, we set up a wicker basket with small favors of M&M’s on the place card table so guests could take home a sweet reminder of the evening. 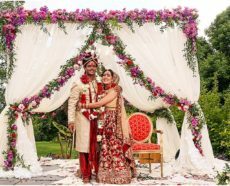 For more Indian fusion wedding ideas, we encourage you to check out this Pinterest board or find out what else our experienced event planners have in mind. Backed by nearly five decades of experience, our award-winning Milwaukee catering team can make your wedding dreams come true. To start customizing everything from your menu to decor, contact our creative and meticulous wedding planners online or give us a call at 262-547-9447.